Drag in Viewport to install ObjectID Macro, Drag again to Uninstall. Ghost Keyer 2 will allow you to key objects without having to select them. 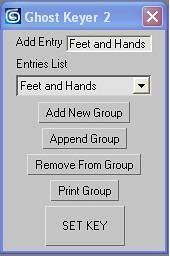 You can create custom groups of objects that will be keyed together.